This serene bathroom suite was transformed from dark and dated to inviting and uplifting. Originally the floor and countertops were covered with black slate which gave the space an enclosed, cave-like feeling. All new finishes brought about a total transformation. The new space has become bright and inviting. 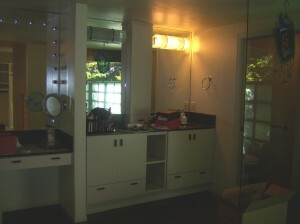 The sit-down vanity was not being used so the dividing wall was taken out to open up the sink area. 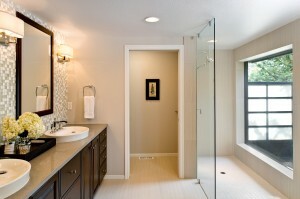 Very light porcelain floor tiles are repeated on the shower wall to tie the space together. 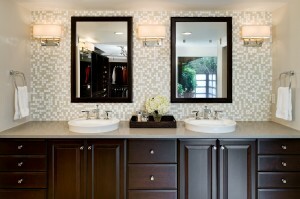 Kohler’s Semi-Vessel sinks are emphasized by the dramatic Oceanside glass mosaic tile backsplash. 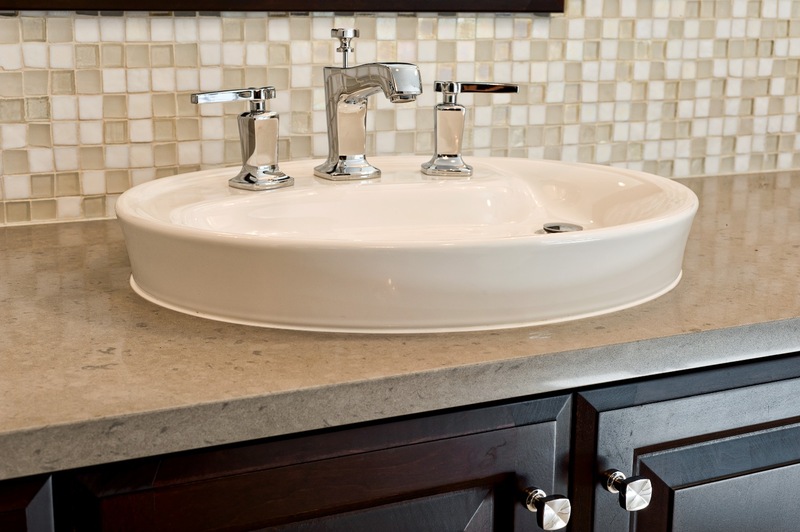 Pebble-gray Caesarstone countertops provide the perfect accent to the overall scheme. The lighting fixtures are installed to visually heighten the room. Custom-made mirrors match the vanity and are harmoniously balanced by a light colored and dramatic backsplash. 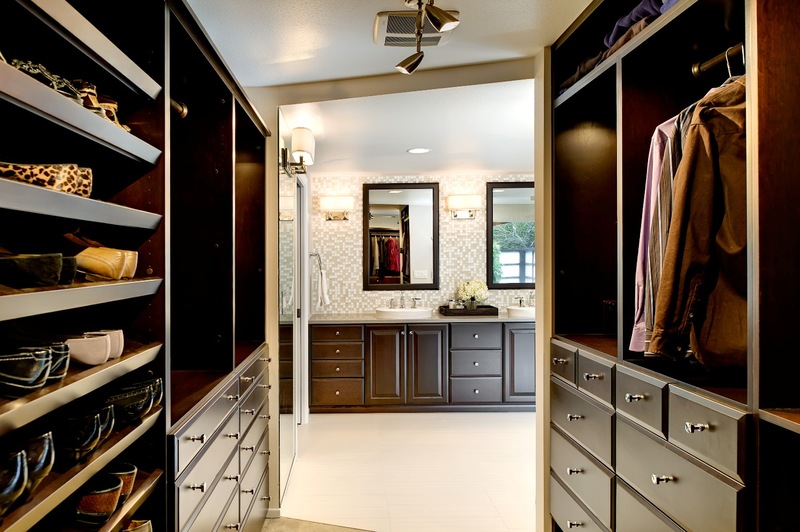 This closet not only looks luxurious but is also highly functional. 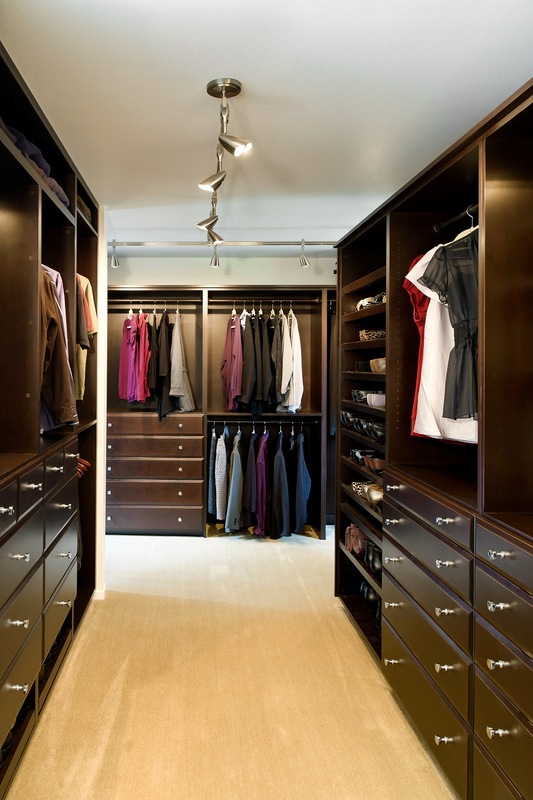 This well organized space lets you access your wardrobe easily, while keeping clutter at bay. The original closet had a white melamine finish and looked outdated. The closets are transformed by using custom made, dark stained maple, accented with contemporary hardware.